The Alpha Family came to visit us over the holidays, staying for a record 7 days, 6 hours, and 30 minutes. Ha, just kidding, it was actually 7 days, 6 hours, and 23 minutes, but who's counting? We thought we’d show them the sites while they were here, and though I’m not sure how impressed they were with life in the “big city” of Emeryville, they were certainly happy with a tour through the Russian River Valley. Beta Wife and I haven’t had much of an opportunity to explore life outside of the East Bay, but last summer I went on one of those silly wine tours that involve a large van, a tour guide, and a trip to Muir Woods. The actual experience was pleasant, and depending on the company you keep, maybe a little too much fun. My favorite winery from the tour was the Hook and Ladder, so I thought it would be a good place to start this time. Located in Santa Rosa, CA, this winery has a simple tasting room set up in a warehouse filled with boxes of wine and what can best be described as a wall shrine paying homage to Cecil de Loach, the winery’s founder who also happens to be a retired firefighter. It’s a nice visual palate cleanser if you’ve just seen a bunch of fancy, touristy tasting-room shops selling goofy jewelry, over-priced wine openers, and other gaudy gift-shop trinkets. As for the wine, my favorites include the zinfandel, white zinfandel, and the port. We picked this one randomly because it was close to the Hook and Ladder winery, and on the way to our next intended destination, Kendall Jackson. Though we never actually made it to KJ, I’m glad we stopped in the Martinelli tasting room. This is definitely one of the friendliest wineries I’ve wandered into. 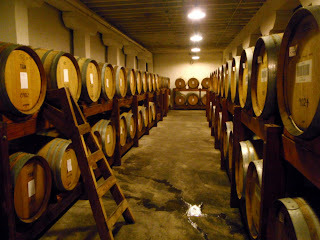 We tasted the standard variety of reds and whites, but the stand-out wine of the selection was the Chardonnay. Mild and light, it could well have changed my mind about Chardonnays in general, which I typically pursue with as much enthusiasm as I might have for boxed wine. That is to say, very little, in case you had doubts. 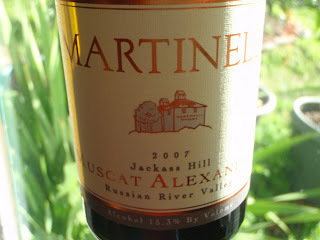 Great wine, but a little pricey, with most bottles averaging between $35-50. This stop was surprisingly our favorite: touristy fun-factor + giddy with exhaustion + bubbly = temporarily voted best place ever. Ok, that might be going a little far, but certainly worth a stop because much of what you taste after the tour is only available for purchase at the winery. The signature champagne itself is decent, nothing too fancy, but clearly good en ough to be served at President Obama’s inauguration. They were bottling for the event the week we were there, though none of us got so much as a peek at the bottles. 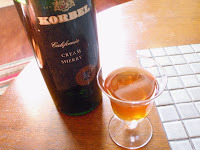 After the tasting, Beta Wife and I requested to sample the cream sherry, which turned out to be quite impressive. If you’ve tasted some syrupy, nasty dessert sherries in your time, this will give you hope. It starts out sweet and grapey like a typical dessert wine, and then it finishes warm and toasty, tasting heavily of toffee. 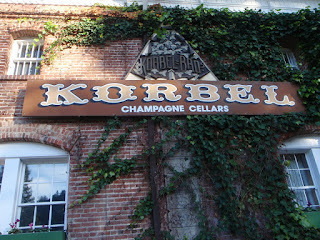 Unfortunately you can only buy it at Korbel, so we had to stock up. That’s how they get you. After all that tasting we were in desperate need of some grub. The Bear Republic brewery just happens to be located in Healdsburg, CA right in the middle of wine country. So far my overall thoughts about their beer can be summed up as: meh. They’re ok I guess. Though their brews aren’t terribly exciting, beer does make a nice palate cleanser after a hard day of vineyard touring. And it’s certainly worth a stop for their food—fantastic burgers, wings, and garlic fries, all washed down with a mediocre beer. Meanwhile you can wander about the quaint—though touristy—little downtown, where you’ll find tasting rooms from local vineyards and more kitschy shops than you can shake a stick at.